The Freshman Songwriter OM Guitar guarantees a balanced clarity of tone from the crisp top end through the mids and to end surprisingly full bottom end. 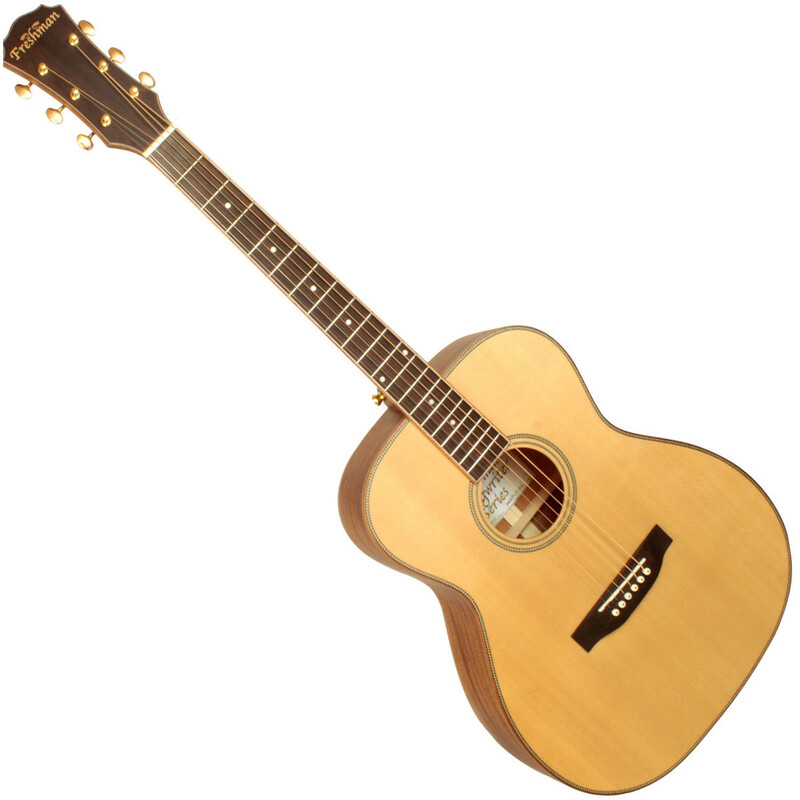 It's ideal for fingerstyle but also has tons to offer when you start to strum. The OM body of the SONGO was designed to guarantee a balanced clarity of tone from the crisp top end, through the well-defined mids, to the surprisingly full bottom end. The SONGO's refreshing, welcoming personality suits fingerstylists, but takes on a whole new character when you start to strum. Any professional guitarist will tell you that this can only be achieved with the right choice in timbers. Using a higher grade of tonewood than you would ever expect to find in this price bracket, the all solid SONGO features a beautiful AA Grade Sitka Spruce top, and select Mahogany back and sides, all subtly bound with Mahogany and finished with Herringbone purfling. These higher grade woods will age perfectly, rewarding you every time you play, with clean lines and flawless finish a hallmark of the series. Freshman Guitars design award-winning acoustic guitars in Scotland. Every one of their guitars is inspected in the UK, and comes with a lifetime warranty. 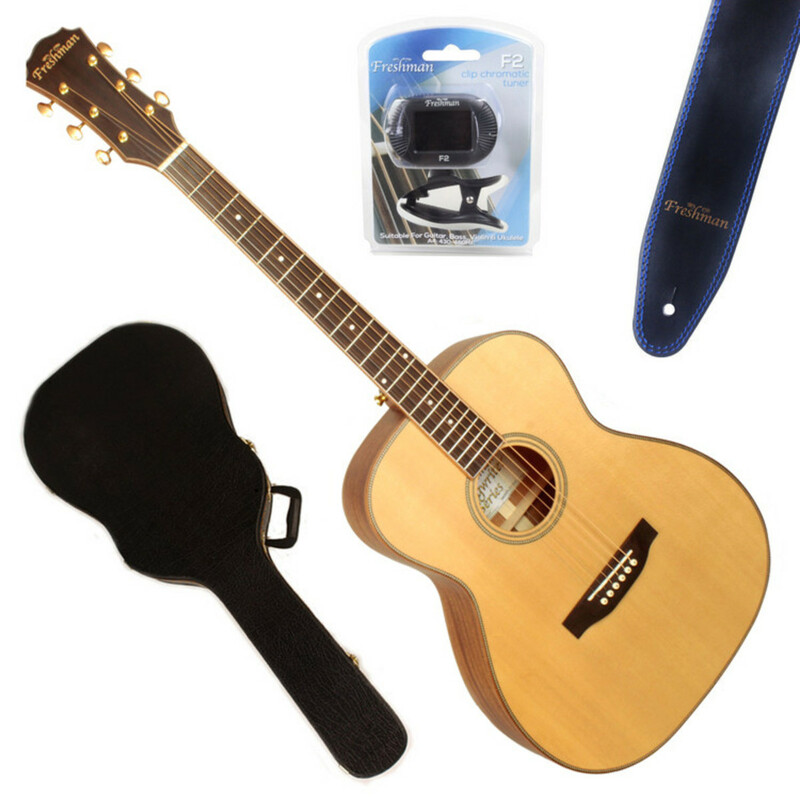 Awards include multiple Best Buys from Total Guitar and the highest ever score awarded to an electro-acoustic from Acoustic magazine.